I was asked to share this post about chalk board signs: http://www.blogto.com/arts/2012/06/who_writes_all_those_fancy_restaurant_chalk_boards/ and this amazing post is another example that calligraphy today is more popular and stronger than ever! And this reminded me about how a modern social media platform called Pinterest is sharing calligraphy from all over the world. People first sign up for a Pinterest account, then when they see something they like on the internet they can share it on Pinterest and “pin” it on one of their boards. It is similar to an interior decorator who might clip design ideas, sketches, colour swatches, textures and photographs from magazines onto a physical board for a client. Except in this case, the magazines are the web, and the sharing is potentially with the rest of the world (rather than just a single client), and designers have become curators, displaying amazing content from all over the world. When posting your works online be sure to include a watermark so that other people will know who did the work. You never know where this might lead. Also be careful about sharing your copyright works on the web, perhaps only share them using a watermark covering the work itself, or perhaps only share a low-resolution image or cropped image sample. The main message here is to share your works in order to gain awareness. Speaking from personal experience the awareness does grow significantly over time. 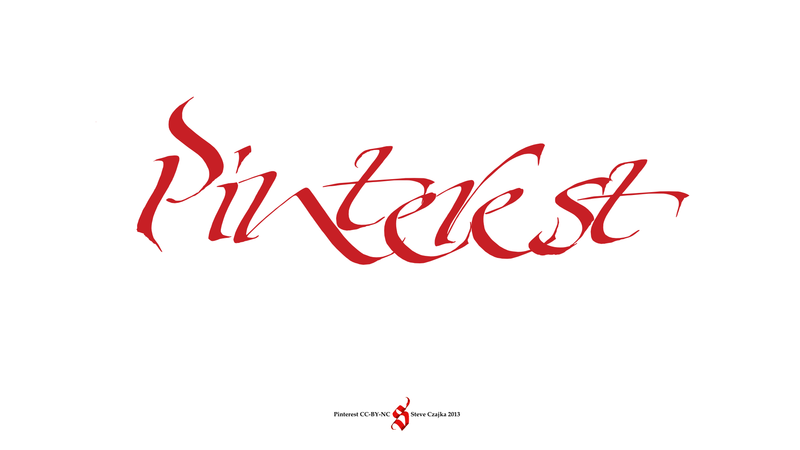 To quickly see if your works are already on Pinterest, try this . . .
Google Search [“Your Name” site:pinterest.com], an example… CLICK HERE! I hope you enjoyed these inspirational works. 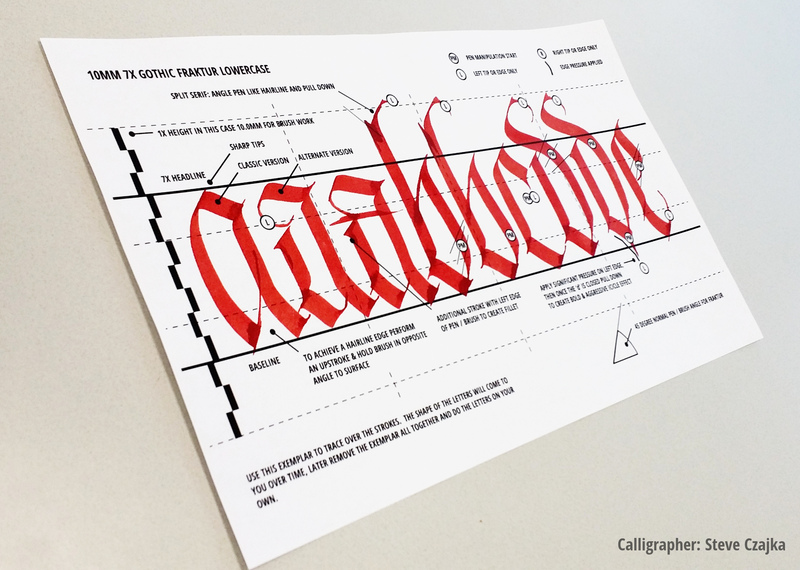 Interested in learning calligraphy? Join our Guild, or take one of our courses. The next set of courses are planned for spring of 2014. Our next Guild meeting is in early January. Follow our blog (via email – upper left) to make sure that you stay connected and don’t miss out. 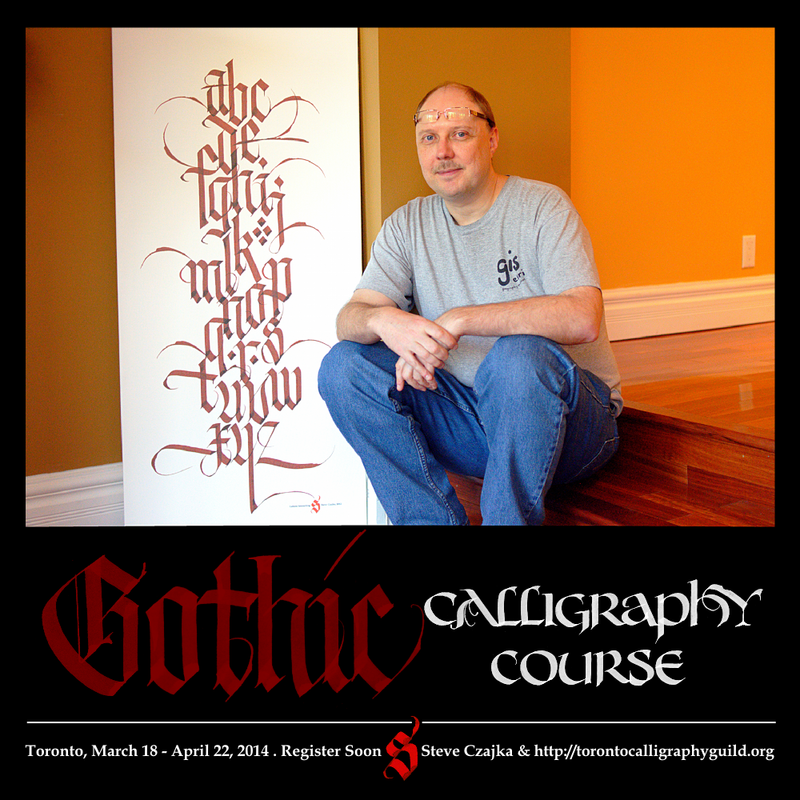 Out last class held by Mark Lurz was sold out, so be sure to sign up early once the courses are announced.